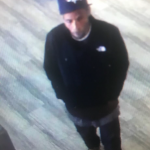 On February 1st, 2018 around 5pm an employee of a business in the area of 9000 E 71st St was the victim of a grand larceny. The employee stated that she left her backpack on a cart next to her while she was working. While she had her back turned, an unknown female placed her backpack in her cart and left the store. 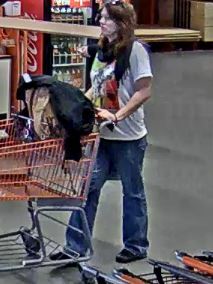 After reviewing video surveillance Mingo Valley Detectives were able to locate a person of interest leaving the business with the victim’s backpack. She is described as a white female in her 30’s with brown hair. 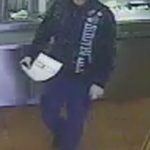 Anyone with information is asked to call Crime Stoppers at 918-596-COPS or send web tips to www.tulsacrimestoppers.org. Crime Prevention Network will pay a cash reward up to $1,500 for information which results in the arrest of fugitives and/or individuals responsible for committing felony crimes. Call 918-596-2677 or click the button below.